Mind the gap: Addition of 22-year-old would aid in Rangers' quest to stay above Celtic - opinion | The Transfer Tavern | Where football transfer rumours fly or die! According to a recent report from Sky Sports, Mason Holgate could be set for a move away come the New Year. The 22-year-old defender currently plays his football at Premier League outfit Everton and has done so since the summer of 2015, although struggles for regular game time under Marco Silva this season has called his future at the club into question. And reports suggest that the Toffees are willing to sanction his temporary departure in January in a bid for first team football, which should be of keen interest to Rangers manager Steven Gerrard, as Holgate’s arrival would no doubt aid in his side’s quest to stay above Celtic in the Scottish Premiership table. Ultimately, the Gers are very much in title contention under the stewardship of the Liverpool legend this season, with their narrow 1-0 success over Hamilton on Sunday moving them back to the summit of the division given Celtic’s surprise 2-0 defeat at Hibernian. Yes, Brendan Rodgers’ men do have a game in hand on their Old Firm rivals, but it’s clear that Rangers are going to be there or thereabouts in pursuit of their 55th top tier title – that’s only if they can improve defensively however in the second half of the season. Their tally of 14 goals against in their 17 matches is by no means disastrous, but this weekend’s clean sheet was their first in the league since their 3-0 win over Livingston on November 24, and just their fifth of the campaign so far – in contrast, Celtic have shipped just ten goals and have nine clean sheets to their name. And with only one of Rangers’ five clean sheets against teams currently sat in the top six, with the other four coming against the bottom three sides in the division, Gerrard may seek further defensive reinforcements in the New Year to help solidify that backline even more ahead of the second half of the season – Holgate’s arrival would do just that. 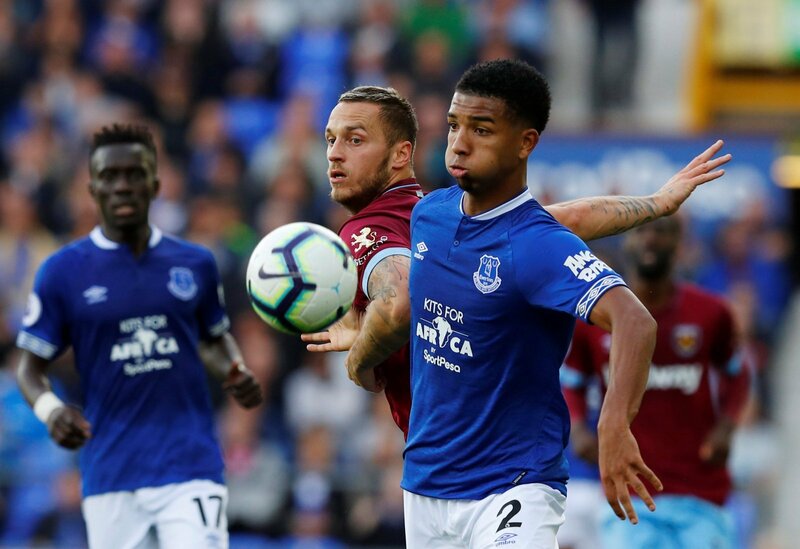 The 22-year-old may have struggled for regular football under Silva in recent times, but one mustn’t forget that he was a key part of the Toffees side at the start of the current season with appearances in each of their opening five Premier League games – in fact, he was arguably one of their better performers in those clashes. Add that to previous seasons of experience in the English top-flight, alongside his versatility in being adept at centre back and indeed at right back, and Holgate’s arrival would give Gerrard plenty of options in his backline, be it competition for James Tavernier down the right-hand-side, or indeed another viable option in the heart of his defence. Overall, Gerrard has done a sterling job since taking over at Ibrox during the summer, but with title number 55 a genuine possibility heading into 2019, he has to look to plug gaps in his squad in the January window – otherwise, Rodgers’ Celtic will exploit them. And with it seeming that further reinforcements are needed at the back, alongside the fact that Holgate is likely to leave Everton in January, Gerrard’s men must make a move for the 22-year-old – a move which will help them mind the gap to Rodgers’ Celtic in the Scottish Premiership table. Rangers and Celtic fans… what do you think? Let us know!